Fundraising can take up a lot of time for non-profit organizations like ourselves. There are three easy ways you can help raise funds to REDUCE STIGMA, PROMOTE GENDER EQUALITY, and TEACH AIDS PREVENTION EDUCATION. 1. Starting your own online crowd-funding campaign with Razzoo. 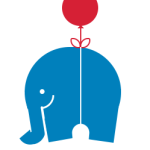 Razoo is a crowd funding platform that helps you start campaigns for existing organizations. We are already registered and ready to take donations – click here to get information and get started with your own campaign to benefit Project HAND UP. Need PICS and TEXT? Check out our MEDIA section and FAQ page in the LEARN section for photos and information to strengthen the message of your campaign. Support Project HAND UP when you shop or sell on eBay. This is made possible by the eBay for Charity program which has helped eBay buyers and sellers donate hundreds of millions of dollars to thousands of charities (and we’re one of them!) You can make it like a virtual garage sale, where friends and family all chip in, together with your eBay account or separately with their own. • DONATE TO US IN EBAY CHECKOUT: By making us your Favorite, you will automatically see Project HAND UP as your preferred charity when you buy anything on eBay, making it easy to add $1 or more upon checkout. • SELL YOUR USED VEHICLE TO BENEFIT US: Unlike other charity auto programs, you can sell your used vehicle on eBay and donate up to 100% to benefit Project HAND UP. This often can result in a larger donation than the $500 or less you may receive from a dedicated charity auto program. Easiest of all, our facebook page has a “Fundraisers” button. You can click it (or just click this here) and then click “+ Raise Money” and that’s it! From there you can create your own financial goal – use our pictures or your own, add your own clever give-aways (you’ll have to decide how you want to reward people) and start spreading the news. 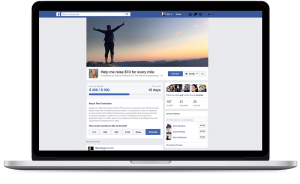 Facebook will pay us directly whenever money is donated to your fundraiser.